Does anyone else get this message when trying to login? No, it's OK for me. Mine went down around 4 pm EST don't know if it is back up yet. 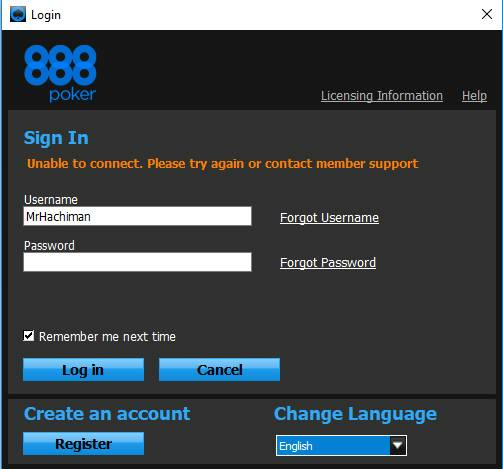 I normally run poker room 888 and there are no problems, maybe you need to clean the computer if it does not help then delete and download again, but if it does not help, contact support!